The shop expansion is making progress at Thomas William Furniture. Thomas William Furniture is a one man shop where all furniture is designed and created by Tom. To utilize his shop space more effectively, we have decided to do a bump out. We are bumping out a 3’x 7’ closet to put the dust collector and air compressor. The purpose of the bump out is to keep the noise down and dust. We are removing the non-productive machinery and placing it in a closet of its own to leave more room for machines and wood movement. 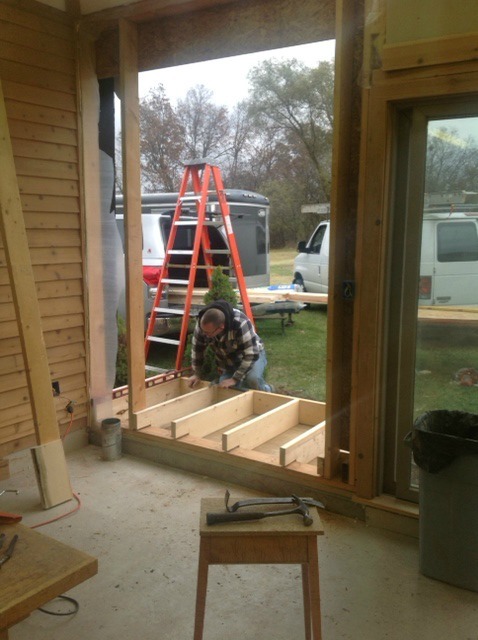 Darin, Owner of Bronze Star Carpentry came over on Tuesday to help Tom with the major part of the build out. 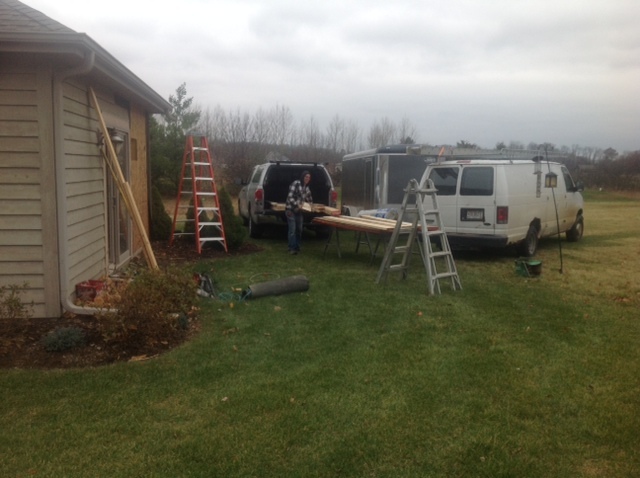 When we built the house and shop in 2001, Darin and his crew did a major part of construction on the home and shop. “Darin does excellent work and he is a man of character and integrity. I really like his work and he does a great job” said Tom. 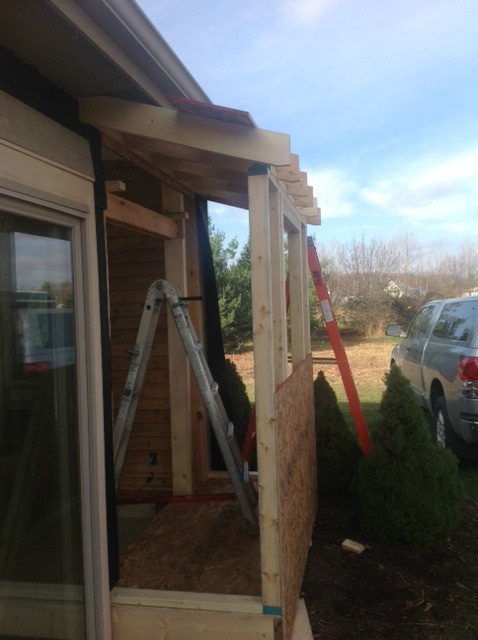 More work to do on finishing the build out and that will be completed by Tom. We are estimating to have this project done within the next week. Hoping that the weather cooperates, today’s high is 42 with snow, showers and wind.